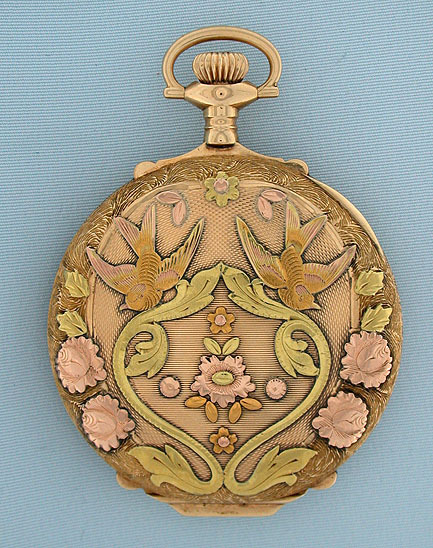 Lovely Elgin 12/S multi-color 14 K gold box hinge ladies antique pocket watch circa 1920. 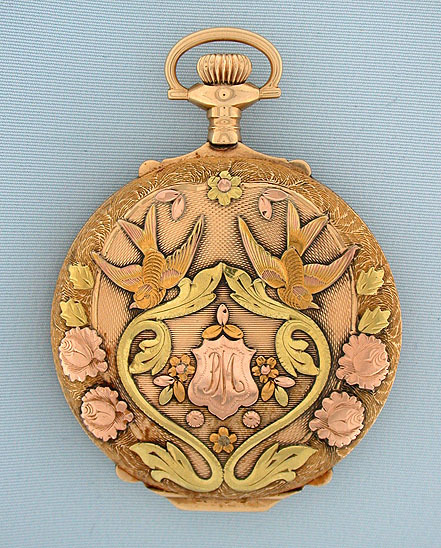 The case with engraved and engine turned background with applied designs of flowers, foliage and birds in various colors of gold. 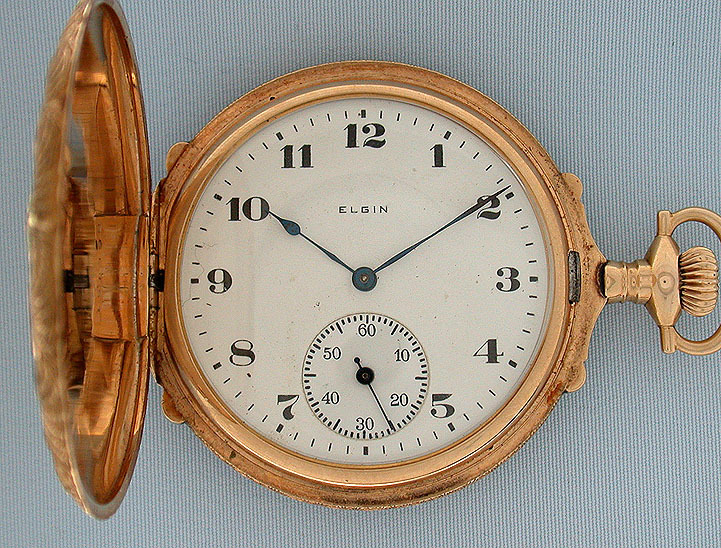 Whit enamel dial with blued steel hands. 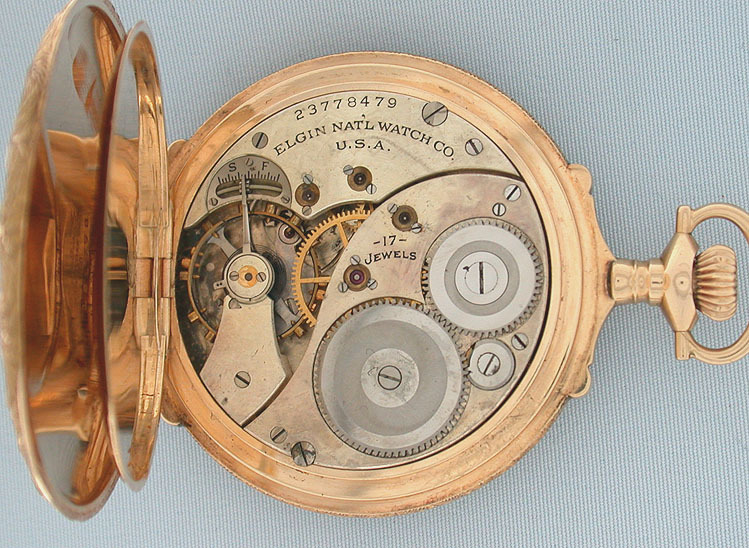 Nickel damaskeened 17 jewel movement with screwed jewel settings and precision regulator.